December 19, 2018 & filed under Destination Happiness. 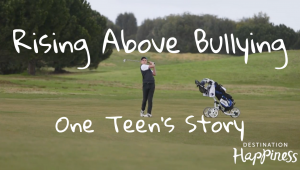 With a name like Max Green, it’s no surprise golf is a favourite pass-time for one young Australian, but it also plays a more important role in helping facilitate Max’s recovery from depression and anxiety due to schoolyard bullying. This clip was taken from season one of Destination Happiness.